These are the tales of the Epic of Kings - the mythic history of Persia - a world of grotesque monsters and valiant heroes, of petty kings and epic battles, of love found and lost, of good and evil, and the internal struggle of man against fate. Behind every great epic there are a handful of heroes whose courage and loyalty make them rise above the rest. 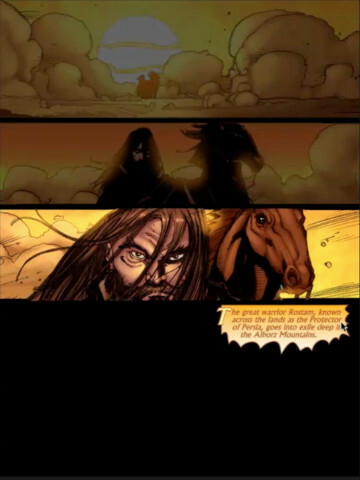 For Persia, no hero stood taller than Rostam: a titan, magnificent in strength and courage who traversed Persia for 500 years as her protector, bowing to no one, not even the kings he served. 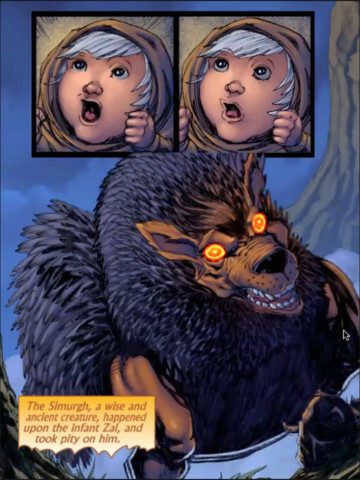 Here we present a state-of-the art interactive mobile comic app for the avid mythology, fantasy, adventure fans of all ages. 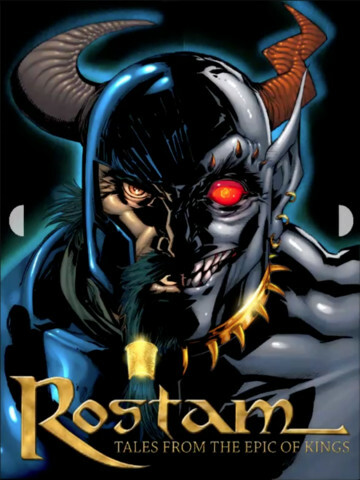 Rostam, the first storyline in a vast transmedia story universe, is masterfully illustrated by comic veteran Karl Allstaetter who got his start with Marvel, DC, and Image Comics, working on such books as X-MEN and Superman, The Hulk, Silver Surfer, The Fantastic Four, and The Avengers. It is now time to place Rostam among those heroes. o …and much much more! Thousands of years ago, the Persians ruled an empire that stretched the length of Central Asia, stretching from China and India to Egypt and Europe. Persian civilization – its faith and folklore, its art and architecture – influenced countless peoples and civilizations across the ancient world. But it was its myths and heroes, captured by the pen of Persia's most renowned poet Ferdowsi in the thousand year-old epic called Shahnameh (Epic of Kings), that have inspired countless writers and artists from William Shakespeare to J.R. Tolkien (Lord of the Rings), C.S. Lewis (Chronicles of Narnia), and George Lucas (StarWars). 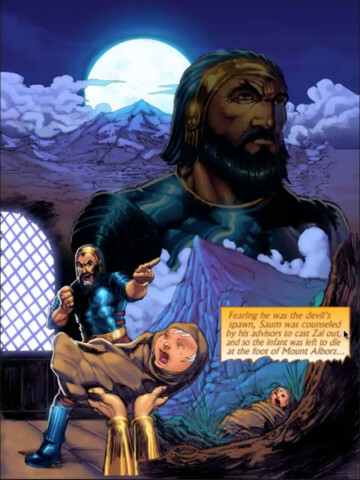 Of all the heroes in Ferdowsi's epic, none is more famous or renowned than Rostam, whose tales of blood and valor have been recounted for a thousand years.